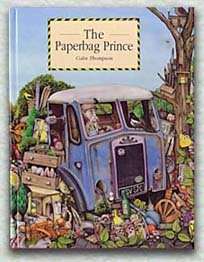 The Paperbag Prince is an old man who lives in an derelict railway carriage at the edge of the town dump in the company of birds and animals that have come to live there. The local people and social workers think he is mad. But The Paperbag Prince wins out in the end, proving that Nature, left alone, will triumph over man's destructive abuses. 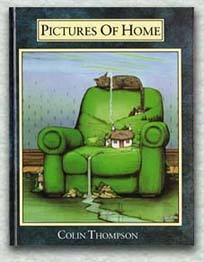 This book combines a selection of pictures taken from calendars I produced for Leeds Permanent Building Society with haiku verses and comments from a group of ten and eleven year old children about what home means to them. Their writing is both funny and sad but above all very touching. This book has been re-published by Random House Australia. Has been re-published in paperback by Random House Australia. When grandfather comes home from the sea for the last time, his ten year old grandson begins to search through the treasure that is hidden in the sailor's old wooden chest. Gold coins, diamonds and silver stars are all there but the boy is looking for something greater still. 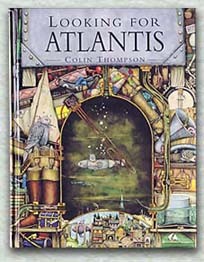 Before he dies, Grandfather makes a promise - his grandson will find Atlantis, all he has to do is learn how to look. Has been re-published in paperback by Random House Australia and in hardback in the U.S. by Borders. In the roots of an old tree live a family of tiny contented people. Their peaceful existence is shattered by the arrival of a ruby red Austin 7 and a picnic party. The car proves an irresistible trap that carries the family away to a dangerous adventure and a new life. 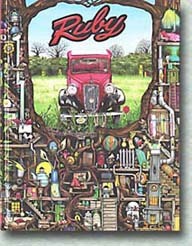 When this book was originally published it was linked to a competition with a real Austin Ruby as the prize. Ruby won the 1994 Primary English Best Picture Book Award and shortly afterwards Random House let it go out of print. In a library with a thousand rooms are copies of every book ever written. 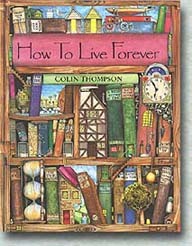 But one book is missing and it is called How to Live Forever. 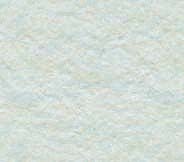 Why it is missing, and how can it be found? Only The Ancient Child hold the key to this and to a life-enhancing truth. A labyrinthine journey, in which books are to play a vital part, begins to find The Ancient Child. 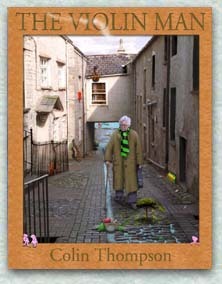 Was re-published in 2008 in hardback in the U.S. by Borders. The richest man in the world looked out across the city. "When I was your age," he said to his grandson, "the sky was so bright you couldn't look at it." But the boy could not know what he meant, for now there was no blue sky, no sun. The earth was covered in an endless yellow cloud. The richest man in the world decided he had to see the sun one last time. So they began to build. 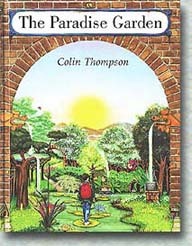 The Paradise Garden was published by Jonathan Cape at Random House UK in 1998 (UK/USA/Can/Den/Swe/Ger/SA/Aus/NZ/). In the quiet of a great garden away from the noise and fumes of the city, Peter finds the peace and contentment that is missing in his life. Yet just as summer turns to Winter, so must Peter return home. But his Paradise garden goes with him. 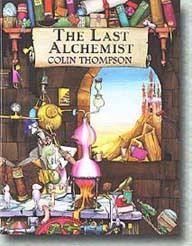 The Last Alchemist was published by Hutchinson at Random House UK in April 1999. Spinifex, the nineteenth Alchemist, must discover the secret of turning base metals into gold before the dawn of the new millennium or he is finished. 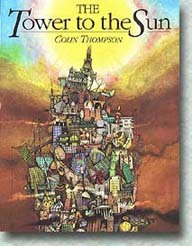 His schemes, growing wilder at each attempt, finally result in a monstrous machine, driven by the power of the sun. Will Spinifex succeed where all others have failed or will the secret of gold remain a mystery forever? The Last Alchemist was shortlisted for the Sheffield Children's Book Award and the Norfolk Children's Book Award. 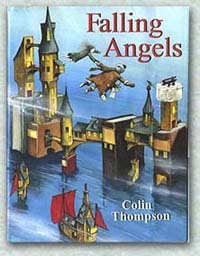 Falling Angels was published by Hutchinson at Random House UK. in May 2001. Sally has been able to fly even before she could walk. Soaring across oceans and continents, she travels the world. . . . Falling Angels has just won the English Association Picture Book Of The Year (Will my mean publishers buy me a cheap air ticket to the UK to collect the award - of course NOT) and it has also been selected as the UK's nomination for the next IBBY Honour List. The Violin Man was published by Hodder Headline Australia in September 2003. For as long as anyone can remember, Oscar has played his violin outside the theatre. Every night, as the people queue for their tickets, Oscar fills the air with his music and the echo of his lost dreams. In those dreams, he is the greatest violinist who has ever lived, and his young daughter Marietta, now long gone, is the greatest ballerina. Then one day, Oscars dream comes true . . . The Violin Man won Honour Book in the Australian Children's Book Council 2004 awards. It has also been published in Brazil and Korea. 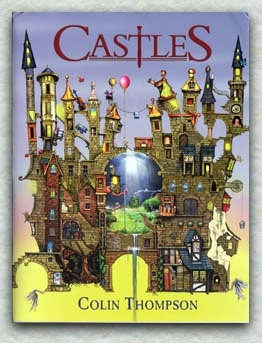 This book is exactly what the title says it is - a book of fantasy castles. There is no story, just a couple of paragraphs that describe each picture. CASTLES won the Hampshire Picture Book of the Year award. 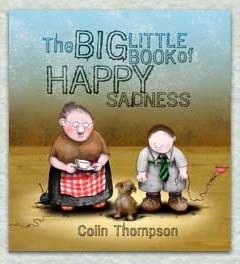 The Big Little Book of Happy Sadness will be published by Random House Australia in May 2008. George lives alone with his grandmother and and empty space where his mother and father should be. And then Jeremy comes into their lives. 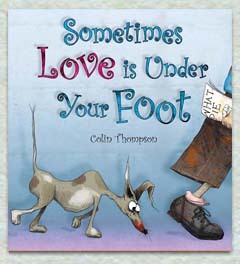 Sometimes Love Is Under Your Foot was published by Scholastic Australia in July 2008. Kevin the dog loves his owner Brian so much he thinks that Brian is God. 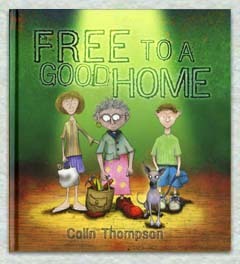 But Brian usually ignores Kevin, except when he nearly treads on him in his big shoes and then Brian becomes ill . . .
Free To a Good Home was published by Random House Australia in April 2009. When Peter and Sally go shopping, they come back with something that no one was expecting . . . The Naughty Corner was published by Hachette Australia in July 2011. There are times in everyone's life when we get sent to The Naughty Corner. Sometimes we deserve it. Sometimes we don't. 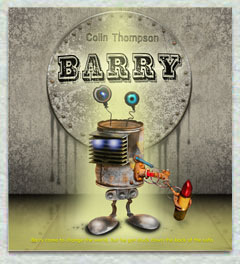 Barry was published by Random House Australia in August 2011. Barry came to change the world, but he got stuck down the back of the sofa . . .